Stories careening around the web over the past few days have sounded the alarm about an "invasion" of polar bears on an archipelago at the northern reaches of Russia. But for all the sensationalist headlines, there's a likely explanation. 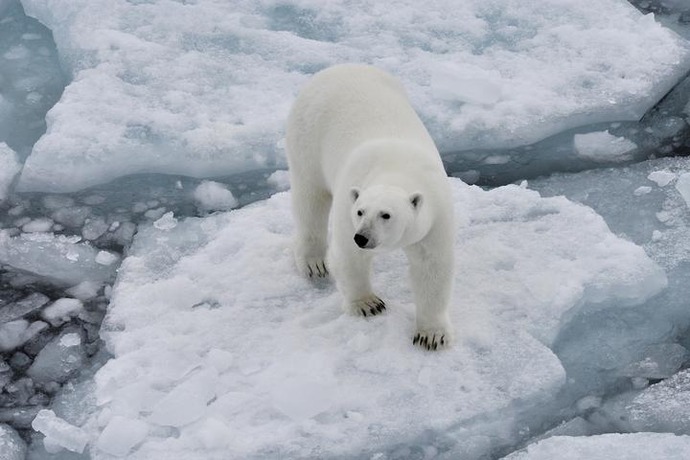 The local Russian government declared state of emergency for the Novaya Zemlya territory on Saturday because of "the mass invasion of polar bears in residential areas," according to the region's governor. Russian news agency TASS reported at least 52 polar bears had been spotted roaming near the town of Belushya Guba and they've been slowly collecting around the area since December. SEE ALSO: 2018 takes the podium as one of the hottest years on record. Let's look deeper. Sure, it's an alarming sight. Who wouldn't be terrified by large bears, polar or otherwise, roaming the town where they live and at times "chasing people"? But, this unnatural polar bear behavior may have been stoked by accelerating changes in the Arctic. As sea ice diminishes, polar bear feeding grounds decline, meaning the wild predators may seek out food elsewhere - like human garbage dumps. There have been a plethora of stories about the disappearing Arctic ice over the past several years, but recent months have brought particularly dire news, from a continuing trend of historically low ice extent to the lack of seasonal growth in the Arctic's sea ice. The warming being experienced all over the globe has been particularly accelerated in the arctic region, leading Mashable's own Mark Kaufman to point out that the arctic we once knew is, essentially, gone. And we already know that polar bears are suffering direct effects of that disappearing ice and other changes to the climate in the arctic. The truth is, we don't know exactly why these polar bears are running amok on a remote Russian island. It could be that there's an extraordinary amount of trash and food and other things attracting a big group of polar bears to its shore. Or, far more likely, the polar bears simply don't have anywhere else to go to find the sustenance and safety they need to survive and, so, they've chosen this island.